In many church contexts, social media is negatively viewed and even discouraged in some circles. A proper understanding, training, and security measures need to be present for all ages of usage. 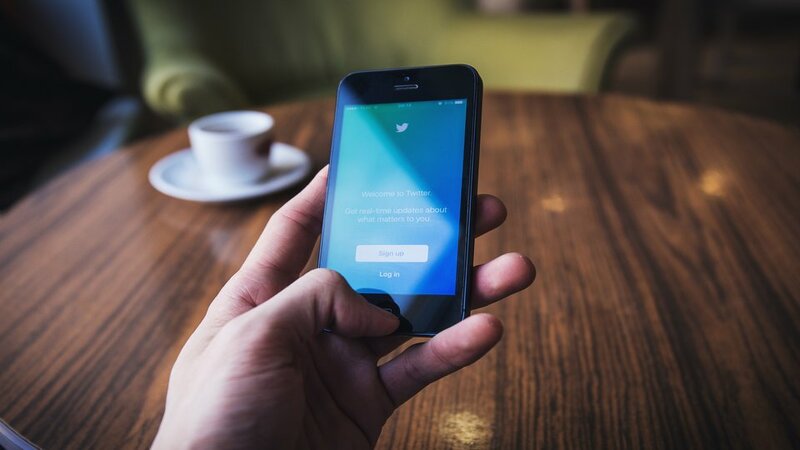 Although the Twitter and social media enterprise possesses dangers, it also presents a plethora of opportunities for the church, ministry entities, and individuals. Let’s re-engineer our thinking of the new Twitter and social media world for just a minute. There are multiple reasons why the church needs to engage social media, but for this article two primary means will be utilized in an attempt to convince you to adopt a strong social media presence. Phone calls, mail outs, billboards, pizza and hot dogs, breakfast, and church signs were all used to entice people to attend church each week or for special events. It worked. In years past, throwing up a message on a church sign would draw people to your church or event. Those types of promotional efforts were successful since the attention was captured. Times have changed though. People are no longer looking at billboards, church signs, or even care about going through their mail. What are people doing instead? They are looking at their phones. Next time you are driving down the road, just look at how many people are looking at their phones instead of paying attention to their driving. Scary! Our culture is obsessed with social media, and that is exactly where their attention is focused continually. The church can either discredit the new Twitter age, or they can embrace the overwhelming opportunity of reaching people where they’re attention is being arrested. Our minds have been altered to first scroll through Twitter for our news, quotes, and information. Although there is already a shift arriving within even this framework, the church can maximize their efforts by gaining the attention of people in their community. Once you have their attention, the gospel can be distributed. Most articles will suggest that you promote your event, post a quote, engage with a question, include a picture or video with your content, and be consistent. All of these suggestions are helpful and needed in your execution of gaining the attention of the people in your community. One missing piece that cannot be overlooked any longer is for your church or ministry to offer value. If your mindset is to see how many people you can invite to your church or tell about your event, your social media plan will fail. If your church will give value consistently, people in your community will start to take note. Additionally, when someone makes a post about a problem or success, engage with him or her. You can use someone else’s post to begin a relationship, which leads us to the second priority of social media. Teenagers today are unable to develop relationships. They do not know how to have a conversation with someone. Do these statements sound familiar? We have all heard them and even said them before. In actuality, students are developing relationships and communicating in their language everyday through social media. In many cases, these online relationships lead to face-to-face “real” friendships or partnerships. For example, pastors develop online friendships with other pastors and speakers and extend an invitation to them to speak in their churches. This partnership leads to a real relationship. Twitter, therefore, or other social media platforms, have then become the catalyst to bridge a healthy friendship that will further the Kingdom of God. Churches can utilize an online presence to initiate friendships that lead to salvations, baptisms, and assimilation. Instead of viewing Twitter as the opponent to relationships, develop the mindset that it is a tool, if used appropriately, which can further extend your reach as a local church. In 2018, ministries hold a powerful tool in their hands each day that can be utilized to develop, influence, and witness tremendous growth within their communities, nation, and around the world. That tool is the smartphone. Twitter and social media can be used as the first step in initiating what many call “real” relationships if the time, money, and energy are invested accordingly. Something may replace Twitter in the near future, but social media is here to stay. Learn it. Engage with it. Use it. Yes, many use it negatively, but you do not have to. Use it for good. Social media is a powerful tool that, if used with wisdom, understanding, strategy, and intentionality, will increase your influence to reach many more people for Jesus. Eric Fuller is the High School Pastor at First Baptist Church Woodstock in Woodstock, Georgia.